Instead of an apartment tour, today I thought I’d address how to find storage in small kitchens, such as apartments like mine. There’s the coffee station. Then the baking station. Now there’s a seasoning station. Pick up a vintage piece and create your own. Look how much you can store on the inside of one cabinet door. Add free-standing shelves to the wall. 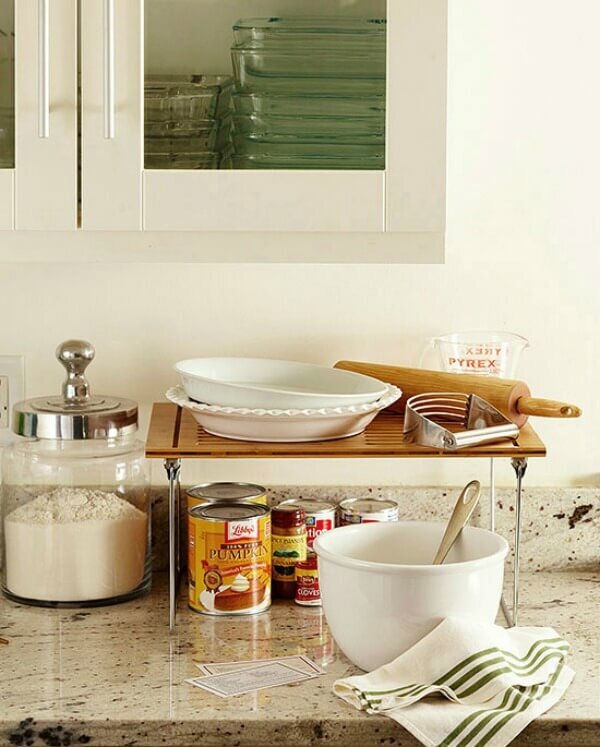 If you don’t have room to get a meal whipped up, whip out this little fold-down shelf to give you a temporary hand. The pegboard. Cheap, efficient, and vertical. 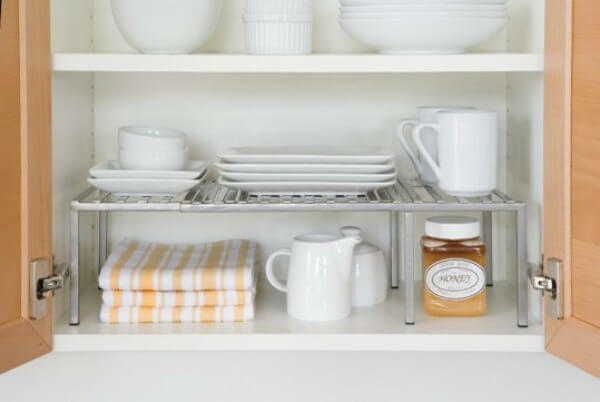 Use office storage in the kitchen. The cheapest divider around. An expandable curtain rod. 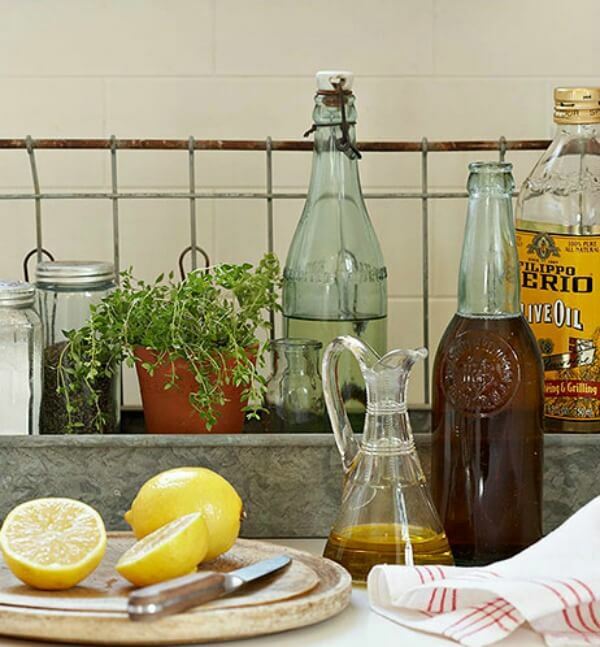 Use these affordable little shelf helpers. They are all attractive, Brenda, and I need to start a new Pinterest board for this type thing as I may be needing it soon. We've begun looking for a small bungalow here in FL and the ones I like best, that have the most charm, are the older houses that happen to have very small kitchens. I had already thought of magnetic strips for knives but need more ideas. The picture with the blue pegboard makes me think of Julia Child's kitchen and how Paul had a space on them for everything. Her kitchen was pretty small and she still turned out amazing meals so I know it can be done. My main concern is that I'm used to so many drawers and these older kitchen don't have that. Got to figure out other solutions. Thanks for sharing these organizing ideas. One of them would be perfect for my small kitchen! It never occurred to me to use an expandable curtain rod in a drawer. Great ideas. 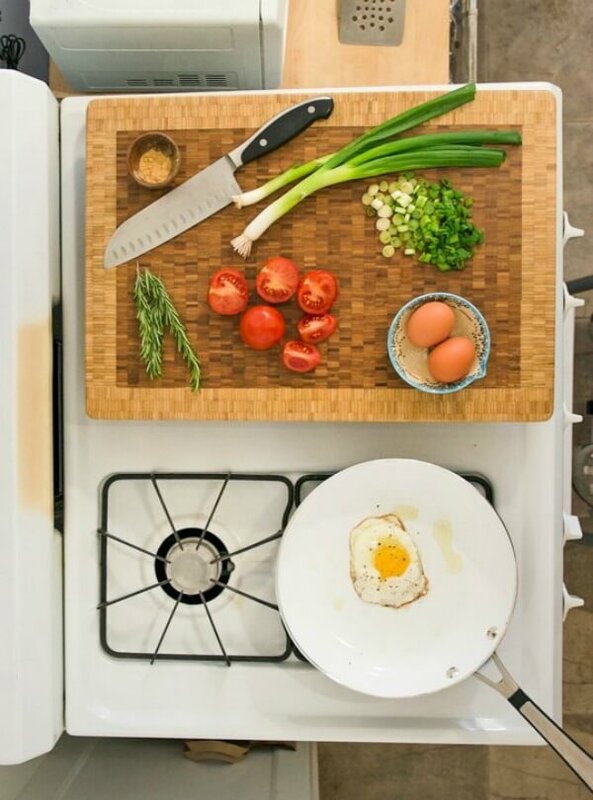 All of these could work in most kitchens. Those are all such good ideas. I never thought of using a curtain rod as a divider in a drawer. Love all the tips but my fave is the curtain rod and the peg board ideas!!!! I like the ideas of using the inside of cabinet doors for storage areas. Love/love the spice storage station. 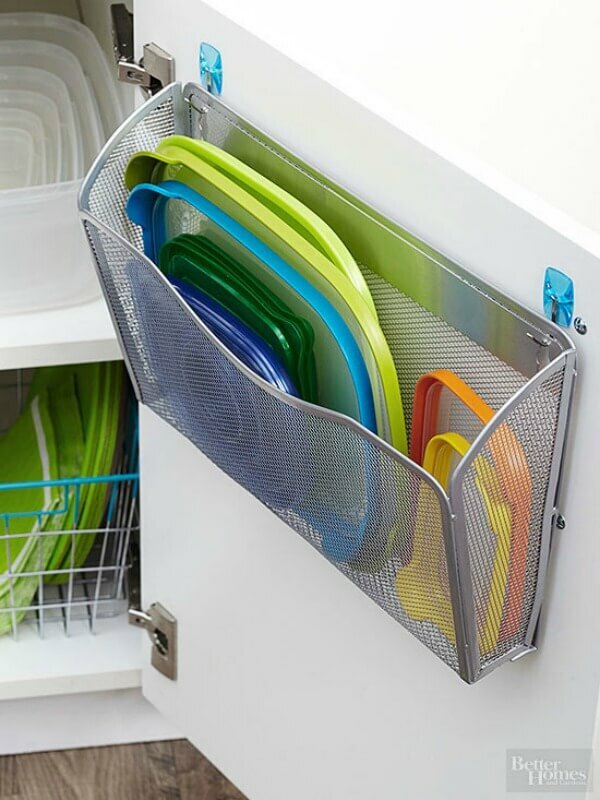 I love all these ideas, but I could really use some extra space on the inside of our cupboard doors, especially to store those darn lids from pans to plastic containers! 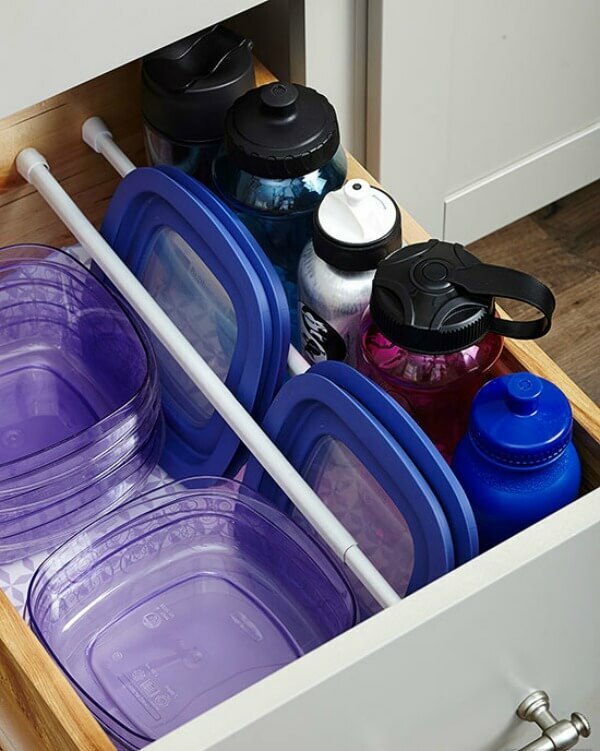 I wonder if I could get a grip on my tupperware drawer if I inserted those curtain rods….hmmm, now you've got me thinking! 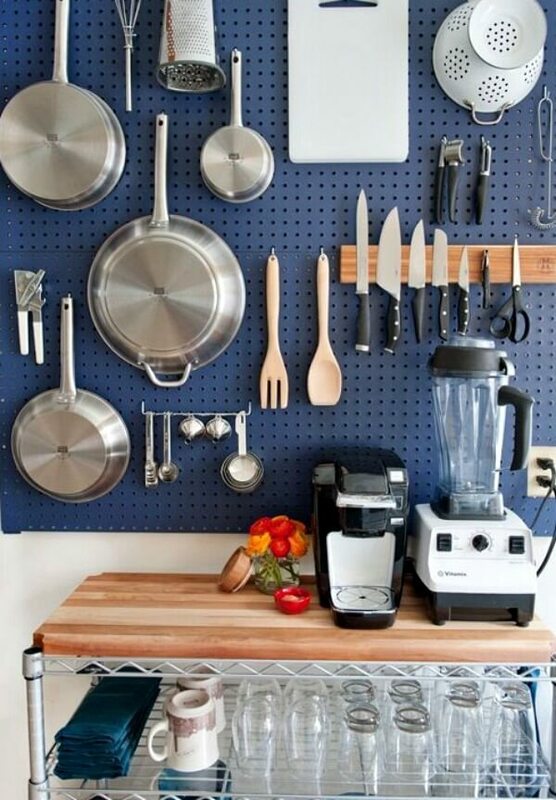 I always love a colorful pegboard in a kitchen – absolutely genius for a small space! You have compiled some really great ideas! I have used some of these myself over the years. I think it is that old thing about "matter expands to fill the space" because no matter how much space I have I always manage to need more. Great ideas Brenda! 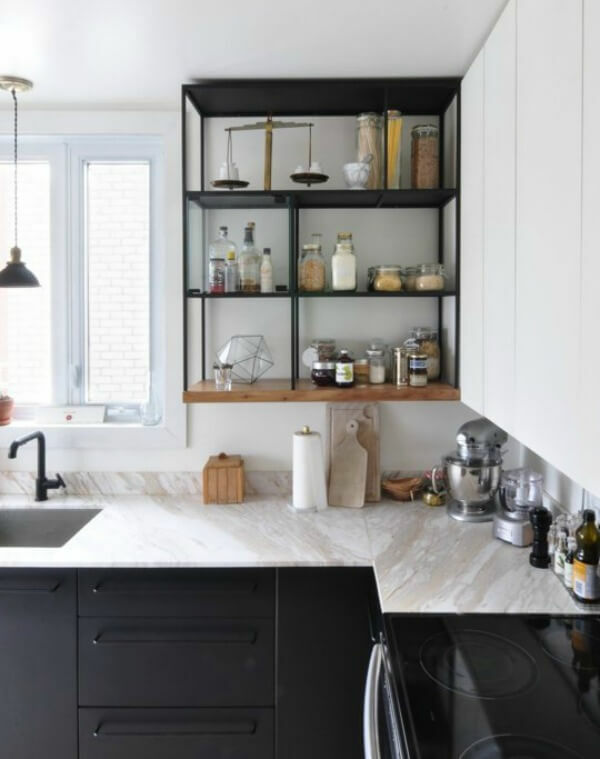 My kitchen is small and I'm always looking for ways to save space. 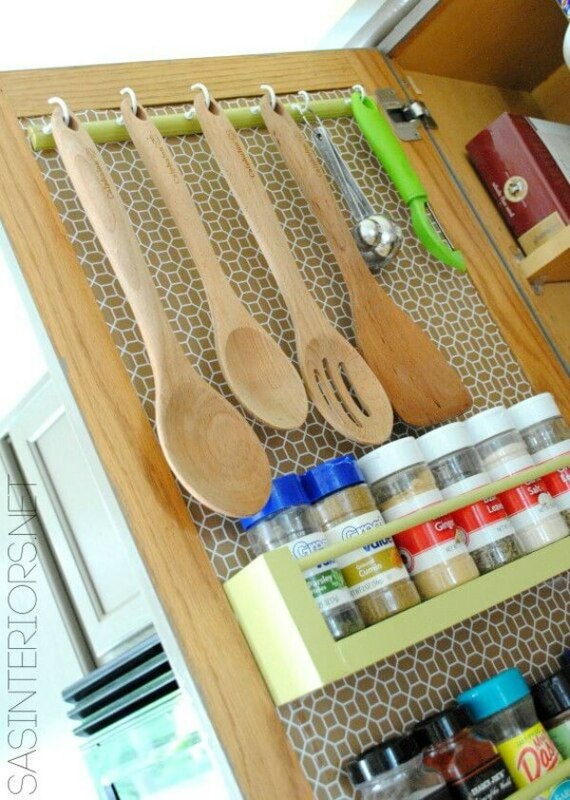 That idea of using expandable curtain rods as drawer dividers is brilliant. I never would have thought of that, so, thanks for sharing it. We could never use the top of the stove as a place to put things. Have turned on the wrong burner too many times! I have taken advantage of the inside of cupboard doors. But a bit of a disadvantage is you will lose storage in the cupboard itself. The plus is not having the cupboard so full you can't see what is in it. 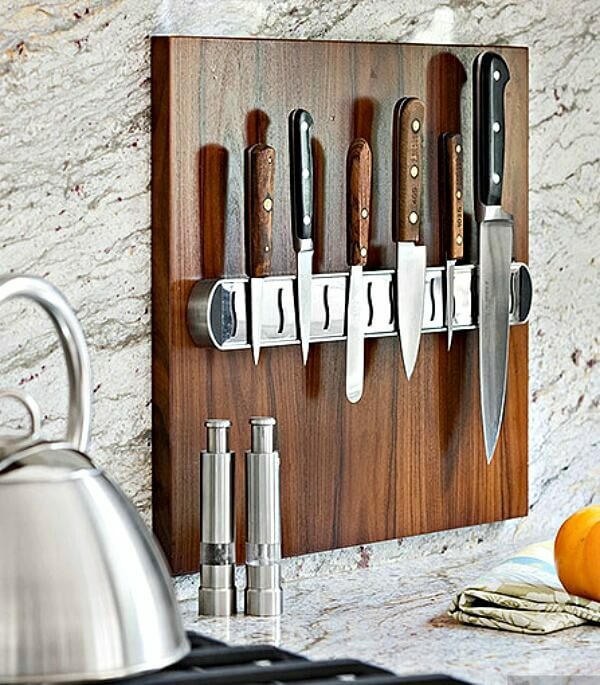 Magnetic strips for knives and hanging measuring cups usually do not take up much space. I do like the file holder and and ides for lids.